Jameis Winston is a Heisman Trophy winner, so he has deep selection of brains to pick any time he likes. 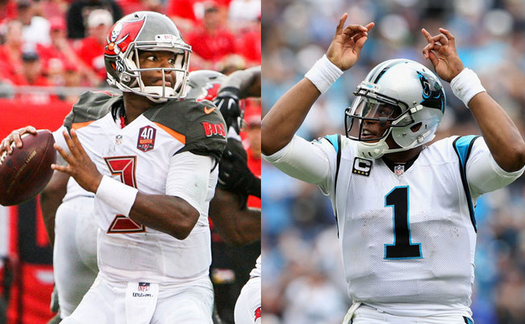 Cam Newton is a Heisman winner as well, and has a lot in common with Winston off the field as well. The Panthers and Buccaneers will meet for the first time this season, with Cam Newton and Jameis Winston going head-to-head in what should be the first of many thrillers. According to Winston, the two have talked frequently and Newton has been mentoring the rookie for sometime. Winston said most importantly, that he learned to “just be yourself” from Newton. The similarities are crazy as well with both being No. 1 overall picks among their draft classes, Heisman trophy winners and both leading the universities to undefeated to national championships (Winston in 2013 at Florida State and Newton for Auburn in 2010).